We're going on a safari! We'll be on our way to explore the SD Zoo's Wild Animal Park to learn about and see all the incredible animals Hashem created! The tram ride is one of our favorite activitites! PICK YER OWN ORGANIC STRAWBERRIES!There ain’t nothin’ in this world like a sun-ripened, freshly picked strawberry! Kenny's Farm is one of the only farm in the city of San Diego that grows certified-organic strawberries and allows you to pick your own. Campers will make memories, enjoy the fresh air, and load up on everyone’s favorite summer berry! Get in touch with your artistic side. You do not have to be Monet to create a masterpiece! 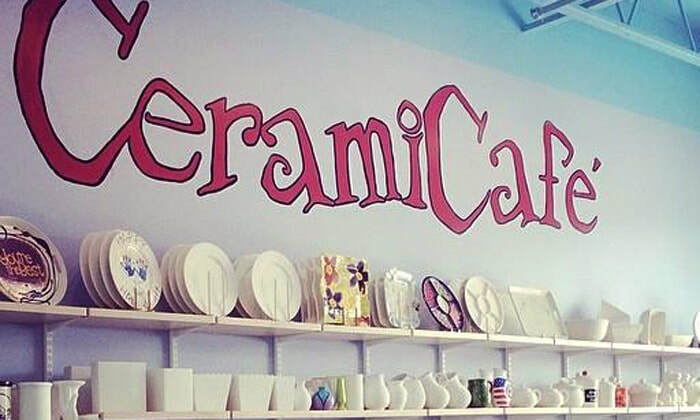 Ceramic Cafe is not just a "Paint Your Own Pottery Studio" It's a FUN place to create with friends! Pottery will be available for pick up from Camp Gan Israel after April 18th. Row, row, row your boat...campers will enjoy a day on the water and sand at Mission Bay where we will row, row, row our boats and play in the park and sand. Bring your own kite! The Flower Fields® at Carlsbad Ranch is one of the most unique attractions in Southern California and an annual rite of passage into spring; drawing more than 100,000 visitors annually. The Flower Fields® is a 50-acre dazzling rainbow of beautiful ranunculus flowers set on a hillside that overlooks the striking Carlsbad, California coastline. A leisurely stroll along the pathways of The Flower Fields provides you with the opportunity to experience colorful bands of ranunculus flowers up close, and to enjoy the breathtaking view of the Pacific Ocean. Register for 1, 2, 3, 4 or all 5 days!